After 14 years of development the game Duke Nukem fans have been waiting for is finally playable...well for some people at least. This past Friday the Duke Nuken Forever demo became available for fans who pre-ordered the game or picked up a copy of Gearbox Software's last game release, Borderlands: Game of the Year Edition on Xbox 360, PS3 or PC. Both methods provide access to the Duke Nukem Forever "First Access Club" which, according to publisher 2K Games' press release "grants members access ﻿to highly volatile, eye-popping content, including never-before-seen materials, top secret information, and for-your-eyes-only art concepts." Which I guess is their creative way of saying members get access to the thirty minute demo. 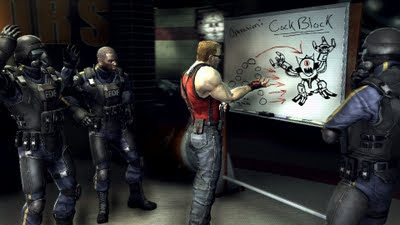 As a bonus surprise, on the official Gearbox community blog, Community Manager Chris Faylor announced that Duke Nukem Forever First Access Club members are also going to receive the first downloadable multiplayer add-on pack for free when it's released. In the Q&A portion of the post Faylor says he expects the DLC will be a premium, paid-for game add-on pack, and will likely be priced at 800 Microsoft Points and $9.99 on the PlayStation Network and Steam. Not a bad pre-order bonus. No date has been set for the DLC, but here's hoping it doesn't take 14 years to come out (ok that was a joke!) If you want access to the demo and the free DLC there's still time as Faylor said they will be providing both to all players who register their key before the game comes out on June 14th in North America. 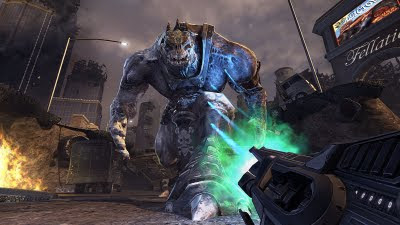 On May 24, Gearbox Software announced that the game had finally "gone gold", after a storied, if not legendary history of development starting way back in the late 1990's. Never ending delays, numerous game engine upgrades, a bitter lawsuit between publisher 2K Games and former developer 3D Realms, severe funding issues and a passing of the development torch to Gearbox Software are just some of the spectacularly outrageous events imprinted in this game's history. 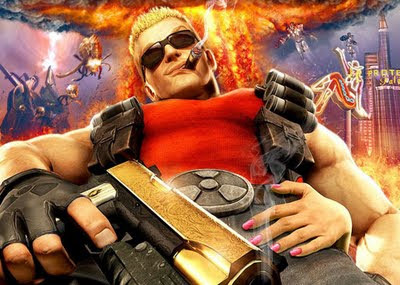 Duke Nukem Forever is perhaps the most recognizable case of vaporware ever seen in the games industry, a term used to describe software that is announced but likely to never surface. Despite the odds, the game survived life support all these years and it now mere days away from international release. Well, that reality took one step closer with the release of the playable demo on Friday, and in nine short days the game will be available at stores nationwide-wide. The question is, will the more than a decade wait be worth it?